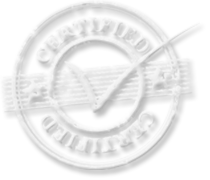 Why Purchase Certified Pre-Owned Copiers? come with a worry free guarantee. When you buy from us you can feel confident that we will be there for you when you need us. Can't find what your looking for? Just give us a call. We will find the model that best fits your needs. High-performance Digital Office Systems that Combine Power and Functionality Achieving greater productivity in your office with fewer resources and tighter deadlines, means finding the right digital multifunctional system. Designed to address these rigorous requirements, the Ricoh 3025/3030 Series offers busy workgroups the power to perform. From image capture through file management and professional output, the Ricoh 3025/3030 Series delivers efficient, secure and cost-effective workflow that is integral to your business success. The Ricoh Aficio MP 2000 provides the capabilities that small departments, workgroups and independent businesses need � copying, faxing, printing, scanning and finishing � All these user-friendly features are packed into one fast, affordable, compact device. The Ricoh Aficio MP 2500 provides the capabilities that small departments, workgroups and independent businesses need � copying, faxing, printing, scanning and finishing � All these user-friendly features are packed into one fast, affordable, compact device. Offers busy workgroups the power to perform. From image capture through file management and professional output, the Ricoh Aficio MP 2510/MP 3010 Series delivers efficient, secure and cost-effective workflow that is integral to your business success. The high-performance Aficio MP 3350 takes office productivity to a whole new level. Entirely custom-made, these multifunctional all-rounders unite a variety of functionalities to streamline your workflow. Furthermore, you obtain the cutting-edge strengths Ricoh stands for: ease of use, high productivity and state-of-the-art document management. With these highly advanced systems you are prepared to meet any modern office challenge. Engineered for innovation with automated and customized workflow, these systems come equipped with powerful new solutions: the Personal Paperless Document Manager (PPDMTM) software and the breakthrough App2Me© portable workflow solution. That’s why the Ricoh Aficio MP 2851/MP 3351 is the right choice to empower your office to handle document tasks with extraordinary speed and cost efficiency. The Aficio MP 4001/5001 can print, copy, colour scan, fax, distribute and finish. And these all-in-one products do it fast with up to 50 pages per minute. Business efficiency is increased and user-friendliness improved with Ricoh’s new App2Me software platform. Personalise your interaction with the MFP by using downloadable Widgets. Doing everything with one device and saving time and costs have never been so easy. The powerful, black-and-white multifunctional Aficio MP 5000/MP 5000B raises the bar for office productivity. Upgradeable and customisable, it combines straightforward document and device management with high performance and simple operation. In addition, various scanning possibilities enable you to communicate information throughout your office in a snap. Designed to put you in the lead, Ricoh’s MP C2800 offer a wealth of possibilities that support your creativity and productivity. To revolutionise your business image, you can now provide clients with spectacularly finished documents in black and white and colour. Everything you need to achieve high-impact results and the business success that goes with it. The Aficio�MP C3500/MP C4500 offer all the features you need. Apart from every black and white functionality in the book, you obtain additional colour capabilities, as well as advanced faxing and colour network scanning. Superior in many ways, these compact and user friendly document managers will fit right into your already existing network. They boast the necessary fast output speeds and versatile finishing options to swiftly produce professional looking output. In addition, these network communication hubs place a wealth of distribution and security possibilities at your fingertips. The Aficio MP C4000/MP C5000 offer all the features you need. Every black-and-white functionality in the book is present. 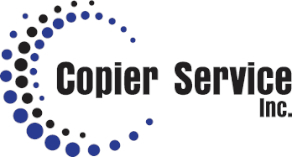 You also obtain additional colour capabilities, advanced faxing and colour network scanning. Superior in many ways, these compact and user-friendly document managers will fit right into your existing network. They boast fast output speeds and versatile finishing options to produce professional-looking output swiftly.